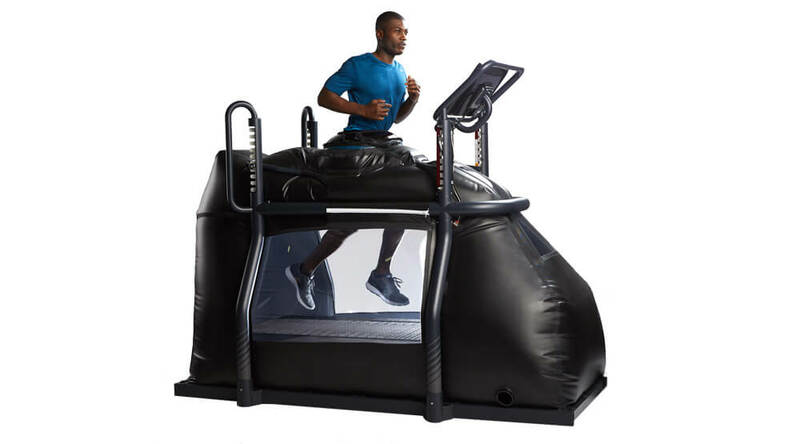 For athletes, the AlterG® Pro Anti-Gravity Treadmill™ means a faster return to sport and powerful training programs for peak performance. 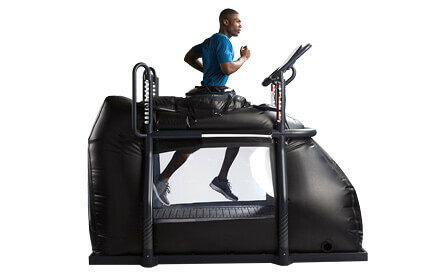 The AlterG® Pro Anti-Gravity Treadmill™ offers elite athletes the ultimate in injury recovery and training. 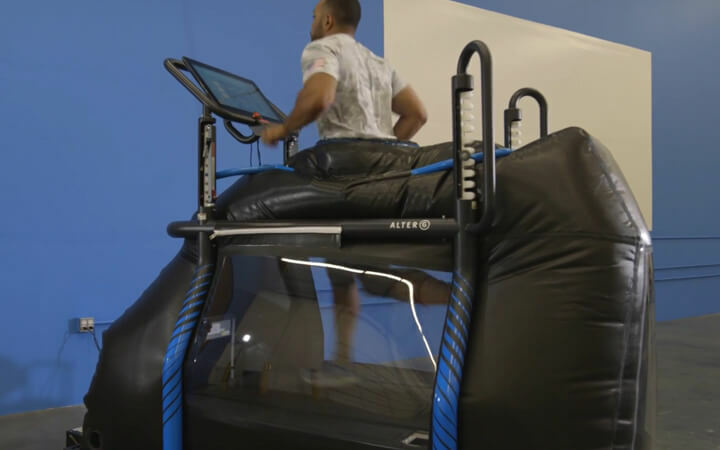 With AlterG’s patented, NASA Differential Air Pressure (DAP) technology, the Pro reduces body weight from 100% to as low as 20% in precise 1% increments so athletes can start rehabbing sooner or increase training volume with less risk of injury. All the benefits of unweighting without compromising natural biomechanics. 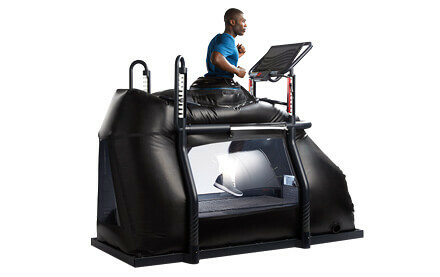 Top-of-the-line Woodway® treadmill for elite performance. Built-in, anterior view live video monitoring system for on-the-fly visual feedback. Real-time gait data increases athlete motivation with objective feedback on rehab progress. Want to provide best-in-class care for patients, improve your clinic’s efficiency, increase client retention, and enhance community awareness? Looking for the best tools and most competitive technologies to help your athletes rehab safely, increase training volume, and achieve their best? Recovering from injury or surgery, managing a neurological condition, or deconditioned and challenged from a chronic disease including obesity? Interested in active aging, maintaining or regaining muscle strength, and improving cardiovascular health in a supportive, fall-safe environment? Want to rehab sooner, train while protecting or recovering from an injury or surgery, or increase training volume while minimizing stress-related injuries? HOW IS ALTERG RIGHT FOR YOU? 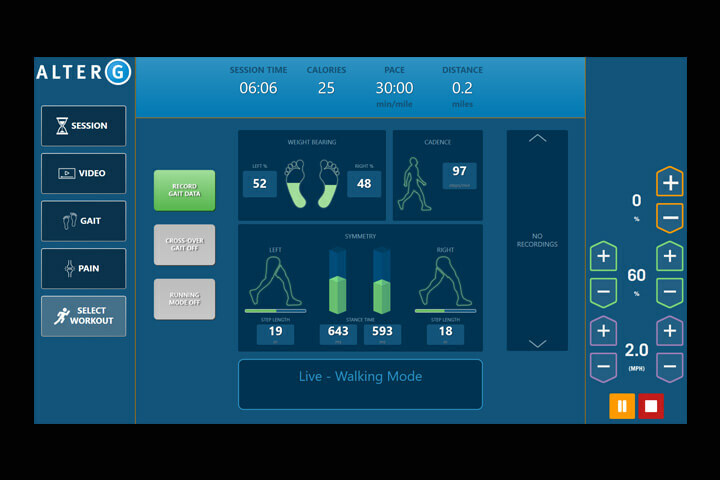 Integrated Stride Smart gait data measures gravitational load and provides simplified visual feedback on cadence, gait symmetry, and pain levels. 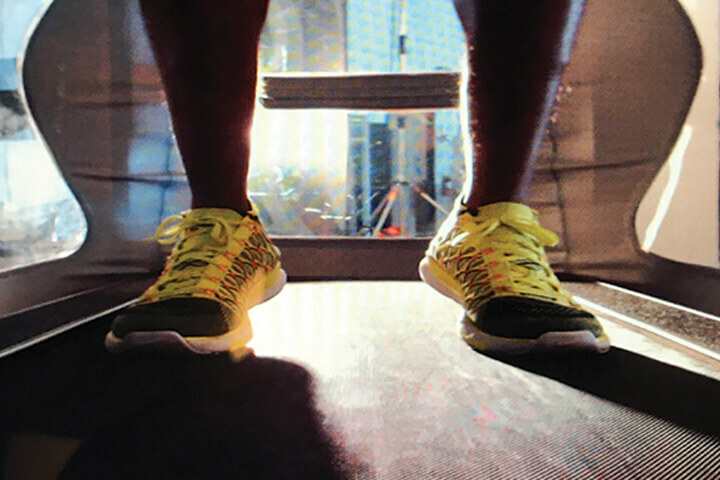 Cadence improvements can lead to faster gait, better mobility, and improved performance. Correlating gait mechanics and unweighting with patient-reported pain scores helps to establish optimal parameters for therapy. Improves weight shifting and reduces risk of pain and joint stress from overuse of the unaffected leg. Improves symmetry for increased step length, better speed, and more efficient gait. Helps athletes correct asymmetries to improve stance time, achieve normal mechanics, and increase speed. Anterior view video monitoring makes it easier for athletes to work on improvements in real time. 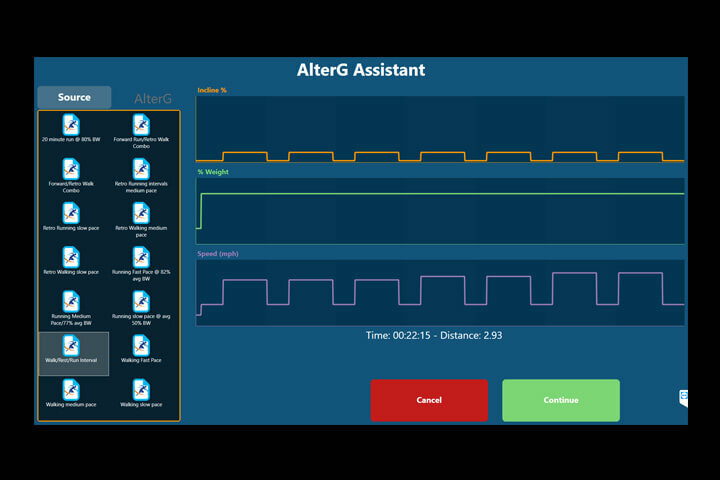 The AlterG Assistant makes it easy to maximize training room efficiency with pre-programmed, fully automated workouts and simple tools for developing your own library of athlete-customized experiences. The elite performance Pro 500 is designed for the most intense athletic training and sports injury recovery.